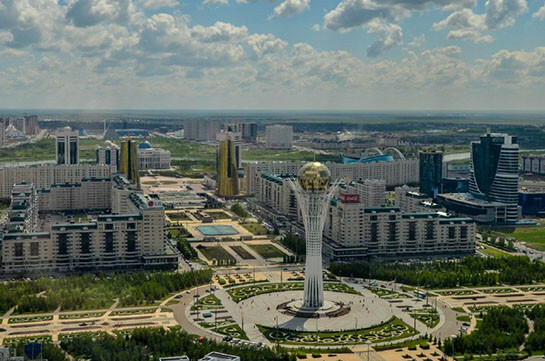 Kazakhstan’s bicameral legislature passed a law at a joint meeting of its houses on Wednesday to change the capital city’s name from Astana to Nursultan, in honor of the country’s first President Nursultan Nazarbayev, a TASS correspondent reported from the parliament’s press center. "In accordance with Paragraph 1 of Article 91 of the Constitution, a bill on amending Kazakhstan’s Constitution has been submitted. This draft law is aimed at changing the name of the capital city from Astana to Nursultan. The country’s Constitutional Council presented its opinion in accordance with Paragraph 2 of Article 91 of the Constitution. Based on the proposal, I ask you to support the proposed amendments," said Aliya Akisheva, Deputy Presidential Chief of Staff, introducing the bill to lawmakers.